Will iTablet use ARM or Nvidia chips? The touch-screen device, which is likely to offer an iPod touch-like GUI with some handy additions, will instantly become one of the most desirable gadgets if and when Apple announce it. MacLife believes that the all-important question over what powers the device could come down to two major candidates: ARM or Nvidia. 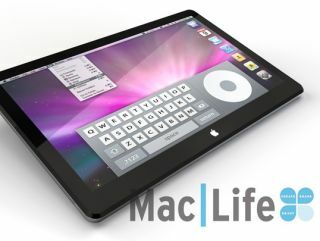 "The ARM Cortex-A9 multicore CPU seems like a good choice," says MacLife. " It's very similar to the CPU in the iPhone 3GS, only with more cores. Together with the inevitable larger battery, Apple could provide the true multitasking the iPhone lacks. "Another great possibility is Nvidia's Tegra SOC, which pairs an ARM 11 core similar to the one in the original iPhone with very impressive and power-efficient 3D graphics and HD video processing. "We'd be disappointed if the iTablet didn't have more RAM than the iPhone 3GS's 256MB, but more than 512MB sounds too expensive. For storage, it would have to start at 32GB of flash and go up from there, with a 64GB option for $100 more." It's a nice overview from MacLife – who in the interests of openness we should point out are, like TechRadar, part of Future publishing – with plenty more expert insight into the OS and GUI.